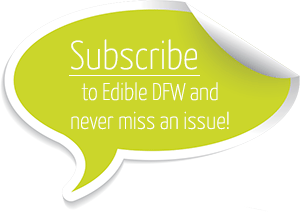 For ten years, Edible Dallas & Fort Worth has been telling the stories of the vibrant North Texas food community—its growers, food and drink artisans, merchants, restaurateurs and chefs. 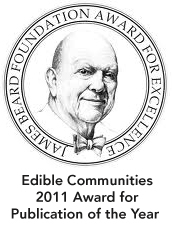 We are a member of Edible Communities, a network of 80-plus locally owned publications in the United States and Canada, whose collective mission is to transform the way communities cook, eat and relate to the food grown and produced in their area. 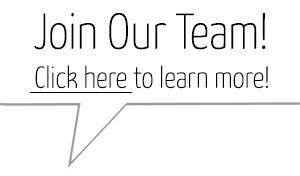 Whether writing about the farmer who revives a heritage family enterprise or the baker who rises at 3 a.m. to hand-shape artisanal loaves, our goal is to keep you informed about how your food is produced and why shopping locally benefits your health, as well as the health of our regional economy. We believe there is power in knowing the origins of one’s food. NANCI TAYLOR is a third generation Texan whose family came to the state in the 1800’s to pursue cattle ranching and Texas has remained her home. She was born in San Antonio, but ended up in North Texas where she nurtured her Texas roots while attending college and raising two sons in Dallas. Proudly following in her parent’s footsteps, Nanci plants and harvests the bounty of her own backyard garden in Old East Dallas. 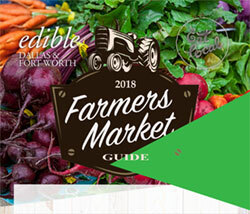 She keeps a busy calendar attending local food and ecology events, and on weekends she spends her time visiting with growers and food artisans at farms, shops and farmers markets around North Texas.